Reaktion Animal Series. From swimming alongside our boats to lurking alone in the shadowy waters of remote seas, seals have long interacted with humans and played a part in our history. 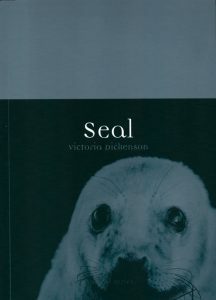 In this book, Dickenson explores the natural and cultural history of an animal that has piqued and delighted human interest since ancient times, from their role in Roman spectacles to their frequent inhabitation of animal rescue centers today. Seals, sea lions, fur seals and walruses are so distinctive that biologists have classified them as members of a single order, the Pinnipedia, yet our relationship with each distinctive seal species varies. We have for centuries hunted some seals for their skin, oil and meat. In the twentieth- and twenty-first century the hunt has become a focus for global protest, and the white-furred baby seal has evolved into one of the most powerful symbols for animal welfare. Some species, like the Mediterranean monk seal, are among the most endangered mammals in the world. Others, who live far from human habitation, number in the millions. The seals living closer to our societies have become wrapped in our myths and legends: there are tales of seals who have sought out human society, following the sound of children’s voices, or the music of the pipe and flute; and there are darker stories of selkies and other seal-like creatures that take on human shape for purposes of both good and ill.
Richly illustrated and accessibly written, Seal offers an immersive view of a much-loved, storied creature. 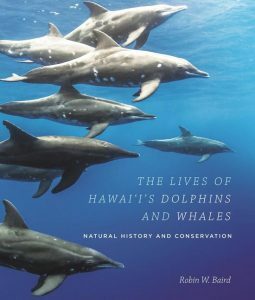 Although this book covers the well-known resident spinner dolphins and the visiting humpback whales, it particularly highlights the ten species of lesser-known open-ocean dolphins and whales that are resident to the marine slopes of the islands. These include endangered false killer whales, deep-diving Cuvier’s and Blainville’s beaked whales, abundant spotted dolphins, coastal bottlenose dolphins, cryptic dwarf sperm whales, family units of short-finned pilot whales, and social melon-headed whales, among others. Also described are thirteen species of dolphins and whales found in offshore waters or that visit the Hawaiian waters seasonally or occasionally, including killer whales, the iconic sperm whale, and even blue whales and North Pacific right whales. Artist/Author: Boyd, Ian L., W. Don Bowen and Sara J. Iverson, editors. Marine mammals command a high level of public attention, reflected in specific legislation for their protection and management in many countries. They also present particular challenges to ecologists and conservation biologists. They are mostly difficult to observe, they occupy an environment that is vast in its three dimensional extent, there are often perceived conflicts between marine mammals and people, and furthermore several species are now close to extinction. Marine mammals have some intriguing features in their biology – the ability to dive to crushing depths, to perform breath-hold dives that defy our current understanding of mammalian physiology, and many have an ability to hunt down prey using sophisticated sonar that we are only just beginning to understand. Many species also have complex social structures. We still have much to learn about these extraordinary animals so a comprehensive and authoritative overview of current methodology is now timely. The intention of this book is both to summarize the state-of-the-art and to encourage innovation and further progress in this research field. This title portrays the life and evolutionary times of marine mammals in a way the non-specialist can understand. It gives a fascinating account of giant whales and sea cows that originated 55 million years ago to the deep diving elephant seals and clam-eating walruses of modern times. 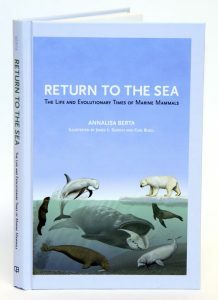 This book explores the origin of various marine mammal lineages, some extinct, others extant but threatened. Set against a backdrop of geologic time, changing climates, and changing geography, evolution is the unifying principle that helps us to understand the present day diversity of marine mammals and their responses to environmental challenges. Berta explains current controversies and looks at patterns of change taking place today, such as shifting food webs and predator-prey relationships, habitat degradation, global warming, and the effects of humans on marine mammal communities. Artist/Author: Parish, Steve and Lynne Adcock. Marine mammals include some of the most fascinating animals on Earth. Large, majestic whales and stunning, playful dolphins have provided mysterious companionship to humans at sea for hundreds of years. These magical creatures, along with the equally fascinating manatees, dugongs, seals, sea lions, and walrusses, have developed a completely different set of adaptations from their terrestrial ancestors and relatives. 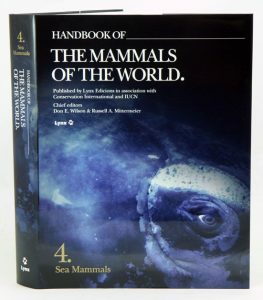 Volume 4 of the HMW series provides complete accounts of all species and families in these important groups. 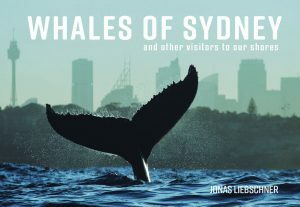 Lavishly illustrated with colour photographs showing different behaviours of all of them, the text contains the latest up-to-date information on all families of sea mammals. 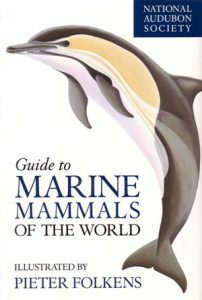 Marine mammals of the world: a comprehensive guide to their identification. Artist/Author: Jefferson, Thomas A. et al. 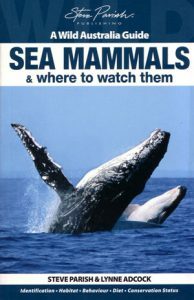 With coverage on all the marine mammals of the world, authors Jefferson, Webber, and Pitman have created a user-friendly guide to identify marine mammals alive in nature (at sea or on the beach), dead specimens in hand, and also to identify marine mammals based on features of the skull. This handy guide provides marine biologists and interested lay people with detailed descriptions of diagnostic features, illustrations of external appearance, beautiful photographs, dichotomous keys, and more. 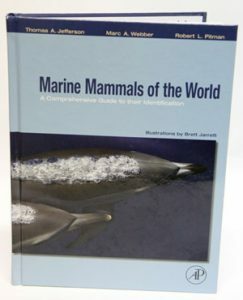 Full colour illustrations and vivid photographs of every living marine mammal species are incorporated, as well as comprehendible maps showing a range of information. For readers who desire further consultation, authors have included a list of literature references at the end of each species account. For an enhanced understanding of habitation, this guide also includes recognizable geographic forms described separately with colourful paintings and photographs. The authors collective experience adds up to 80 years, and have seen nearly all of the species and distinctive geographic forms described in the guide. This guide provides the most detailed and anatomically accurate illustrations currently available. Special emphasis is placed on the identification of species in problem groups, such as the beaked whales, long-beaked oceanic dolphin, and southern fur seals. It includes a detailed list of sources for more information at the back of the book. National Audubon Society guide to marine mammals of the world. Artist/Author: Reeves, Randall R, et al. 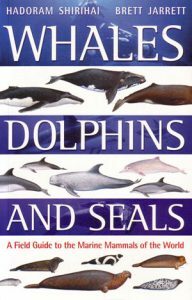 Describes in detail all 120 species of the world’s whales, dolphins, porpoises, seals and sea lions, manatees, Marine and Sea Otters, and the Polar Bear. Written by a team of experts and featuring more than 320 illustrations, 418 photographs, and 123 maps, this new guide offers more authoritative, up-to-date, and accessible information than any book previously published on the subject. CRC handbook of marine mammal medicine. Artist/Author: Dierauf, Leslie A. and Frances M.D. Guilland. This title is not held in stock but we are happy to supply on special order. Please contact us. 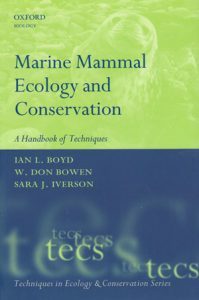 The only medical text dedicated to marine mammals, this revision of a bestseller provides up-to-date information for anyone interested in marine mammal veterinary medicine and marine mammal science. CRC Handbook of Marine Mammal Medicine, Second Edition is the only handbook specifically devoted to marine mammal medicine and health. With 66 contributors working together to craft 45 scientifically-based chapters, the text has been completely revised and updated to contain all the latest developments in this field. Building upon the solid foundation of the previous edition, the contents of this book are light-years ahead of the topics presented in the first edition. See what’s new in the Second Edition:oMarine mammals as sentinels of ocean healthoEmerging and resurging diseasesoThorough revision of the Immunology chapter oDiagnostic imaging chapters to illustrate new techniquesoQuick reference for venipuncture sites in many marine mammalsoUnusual mortality events and mass strandingsoNew topics such as a chapter on careersoWider scope of coverage including species outside of the United States and Canada Filled with captivating illustrations and photographs, the Handbook guides you through the natural history of cetaceans, pinnipeds, manatees, sea otters, and polar bears. Prepared in a convenient, easy-to-use format, it is designed specifically for use in the field. Covering more than 40 topics, this one-of-a-kind reference is packed with data. The comprehensive compilation of information includes medicine, surgery, pathology, physiology, husbandry, feeding and housing, with special attention to strandings and rehabilitation. The CRC Handbook of Marine Mammal Medicine, Second Edition is still a must for anyone interested in marine mammals. Artist/Author: Shirihai, Hadoram and Brett Jarrett. This field guide is a complete and convenient reference to every species of cetacean, pinniped and sirenian in the world, along with the Marine and Sea Otters and the Polar Bear. Every species is illustrated with magnificent colour paintings and a stunning collection of photographs, chosen to illustrate the key field marks which can be used to separate each species in the field. The author’s unique depth of experience and knowledge, coupled with the artist’s unrivalled skill, have come together to produce a neat, practical field guide that will enable any observer to quickly identify any mammals they may encounter at sea.